Muzzi realizes different sizes and dimensions of diamond tools: diamond disc diamond wheels for marble and mechanical machinery. In this website you can find continuous rim diamond disc, diamond tools with segments “LASER”, diamond wheels with braze welded segments, and more other diamond tools for your needs. 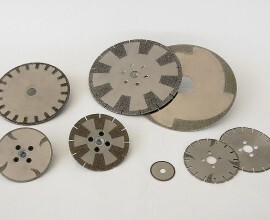 Are you interested in our diamond tools: diamond disc and diamond wheels? Contact us now!